GLAMOUR & PEARLS: Scratch That! Yesterday, while I was at work, I found some really cute wedges, but you know what?! Scratch that! 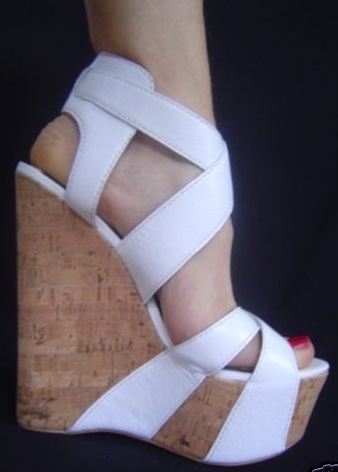 Because these Bebe Hannah wedges I just found, are just too hot for words! I don't think I'll be getting the python one from Topshop anymore, I'm officially on a hunt for a pair of these in black & cork! I've been wanting a pair of these in leopard print for the longest time! I don't blame you, the leopard print is so gorgeous!